Beautifully designed workouts delivered in a digital PDF format with video links to the exercises. Workout videos play On PC, Tablet, & Mobile Devices. Simply pause the video for instructions on how to properly perform the exercise. Customized workout routines are available through my coaching program. 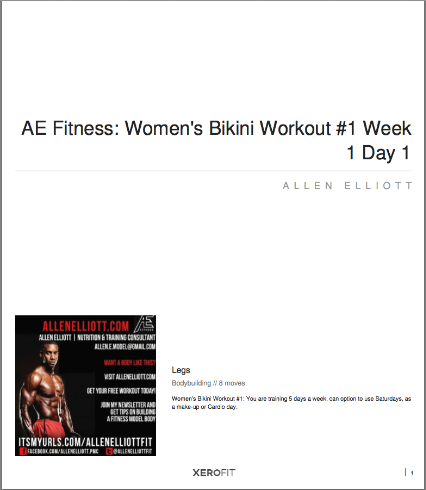 Make sure to scroll down below and grab a free copy of my Men’s & Women’s Workout program. More Than 260 Exercise Videos Offering A Variety Of Workout Training Styles: Agility, Bodybuilding, Bodyweight, Core and much more!